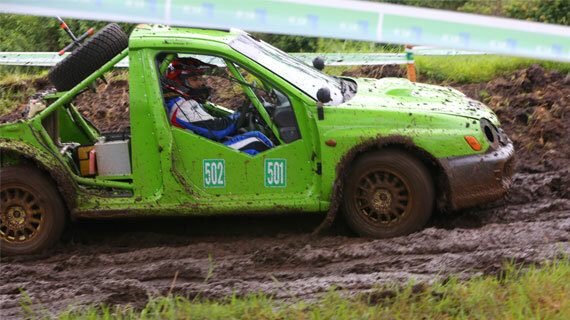 The 5th round of KCB National Autocross Championship is underway in Nakuru at the Rift Valley Motorsports Club in Solai. The 5th round of KCB National Autocross Championship is underway in Nakuru at the Rift Valley Motorsports Club in Solai with 20 drivers battling for top honors in Sunday 20th May event. 4WD Champion Rehan Shah is leading the chase ahead of Lovejyot Singh, McRae Kimathi and Muragwe Waigwa.Hamza Anwar, will be the man to watch out in the 2WD Non Turbo in a field that has Safina Khan and Sahil Mughal. The Clerk of Course Harjit Sagoo says the track at Solai will be a challenge for most drivers. “With the heavy rains it will be very tough for all the competitors and their skills come into play” said Sagoo. The Bambino class attracted illiyun Mughal, Tsevi Soni, Yuvraj Rajput, and Tsorav Soni. Hamza Anwar who returns to action in today’s event is confident of narrowing the gap in the leadership standings. “I am grateful to God for another chance to be in KCB Autocross Action, the buggy is in perfect condition and the focus is winning today’s event. The track is tight and Twisty and only the best will rack up victories a the splashed of mud determine who will win the bragging rights in today’s outing. Rift Valley Motor Sports Club designed a 2km’s track three weeks ago in readiness for the KCB Autocross Championship. The practice lap saw Shalien Mughal, Hamza Anwar, Lovejyot Singh, Zameer Verjee and Yuvraj Rajput leading the various categories. Hamza Anwar clocked 00:05:44 while Shalien Mughal clocked 00:04:36 the fastest time of the day.